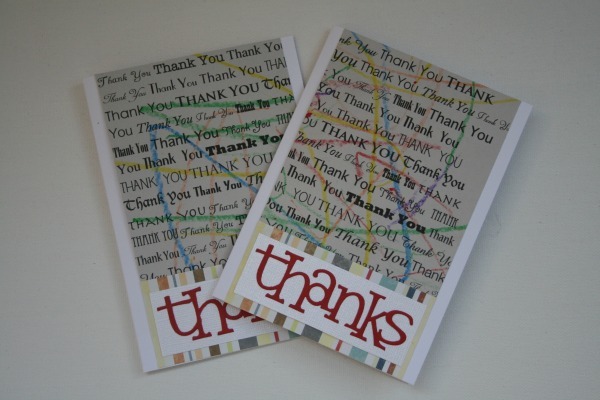 For your viewing pleasure: the little note cards I whipped up to say 'Thank You' to everyone who spoiled him (spoiled him R.O.T.T.E.N.) on his birthday. 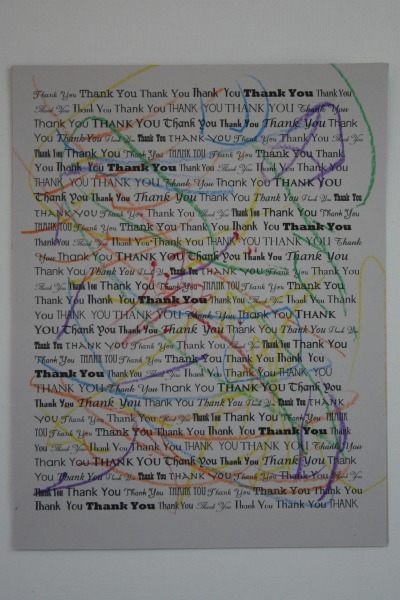 I wanted his handiwork to be included on the cards somehow, so I printed out a sheet of 'thank you' in different fonts and sizes onto cardstock and had him scribble away. Okay....I'll admit that I did a little (uhhh... a LOT) of scribbling as Rowan's version of 'colouring' is stabbing the paper with a crayon. "Mummy!! Look at my new cell phone!" 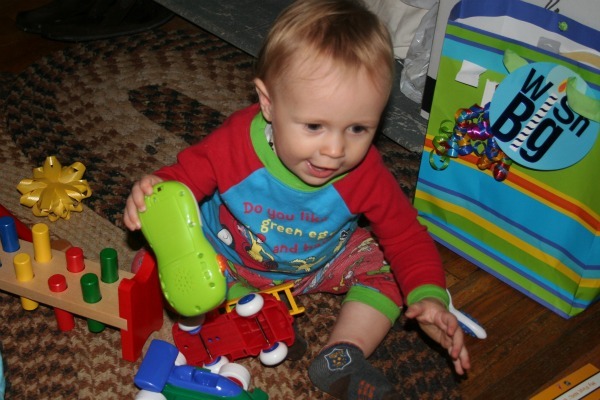 Now that he's one, I'm starting to feel the stress of having too many toys (I know I'm not alone!) in the house. His birthday haul was too much for his moderately-sized toy box to handle, so it's been divided up and half of it is living in a storage container for a month or two. This way, when he gets bored of the current toy box residents, I can swap them out for storage container residents. This seems like a great plan right? Yeah it did to me too. And then I remembered that Christmas is 114 days away. I just love these!! What a great idea! Awesome job Anne (and uhh... Rowan). As for toys (oh the toys... ), if I can get away with *not* opening a toy right away, I will put it away. If it isn't asked for in a reasonable time frame - we donate it. Before Christmas we go through the toys and pitch any broken ones. Donate/sell any "good" ones that just aren't played with.